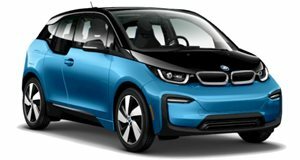 Aside from being BMW's first all-electric model, the i3 was special due to its carbon fiber construction something usually associated with high dollar sports cars not small city carse. Building the i3 with so much carbon fiber seemed like a great idea for weight saving but it caused production issues for BMW early in the car's life cycle. Carbon fiber is also expensive to produce, which contributes to the i3's high price. BMW has not yet confirmed if an i3 successor is coming but in an interview with German Manager Magazine, development chief Klaus Fröhlich may have dropped a hint about a potential replacement. The interview is hidden behind a paywall but in it, Fröhlich discusses how using carbon fiber for the i3 was too expensive. If BMW does build a second generation, it will likely rely on more conventional lightweight materials like steel and aluminum. We know BMW plans to release 12 new electric models by 2025, so it will be interesting to see if a next-generation i3 makes the cut. Manager Magazine says BMW could use the 'i2' name, likely signifying that it will be cheaper than the current i3. The i2 could arrive in 2024 with a starting price of around 30,000 euros (approximately $33,821). Even though the name would change, the i2 would likely have similar dimensions to today's i3, making it ideal for city driving. Unlike the current i3, the i2 will have a more conventional design in order to appeal to more buyers. Nothing has been officially confirmed but we know BMW has already gone through the precaution of trademarking 'i' names in case it needs to branch out beyond the i3 and i8.